In today’s world, passwords can be easily stolen or hacked, which means that the accounts and data behind those passwords are at risk. Multi-factor authentication adds at least one more layer of identity verification to that process, so your protection against hacking and fraud attempts is much stronger and more secure than a simple password. 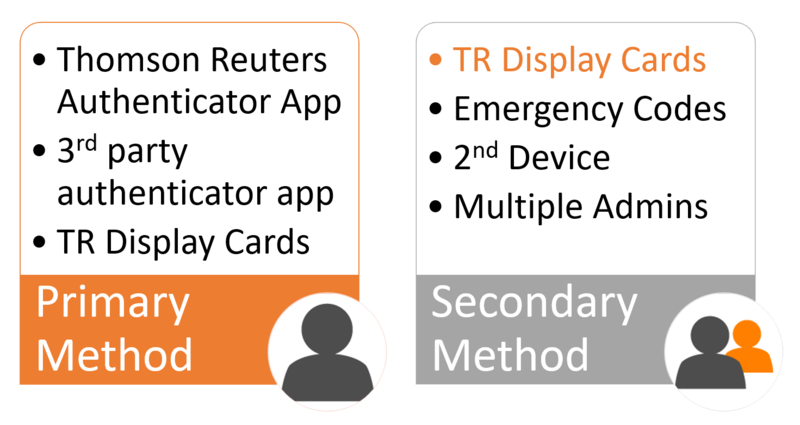 Thomson Reuters Authenticator Display Cards allow customers of the CS Professional Suite and Onvio product lines to have an alternate method of multi-factor authentication for their software. The cards, which are the size of a credit card, allow users to meet a second factor of authentication to gain access to their software (knowing your login and password and having the Display Card). Easy to use (turn on, and use the 6-digit code generated to authenticate into your software), these cards are a great option for those who do not wish to use a mobile app on their personal devices, or as a backup to authenticating via their mobile device (for example, in the instance of a lost or broken smartphone).